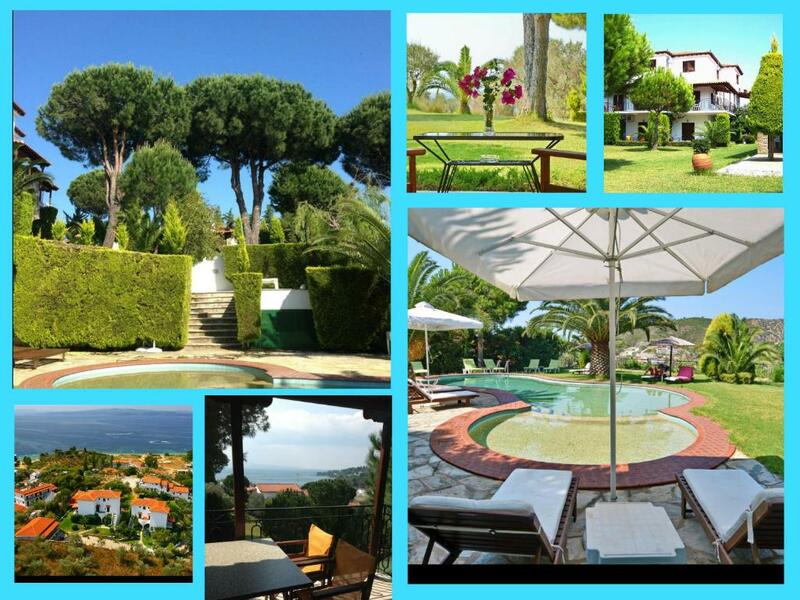 The wiev was wonderfull, room was nice and large, our host was helpfull and friendly, as well as the rest of the staff. Our hosts were very friendly. When we arrived we were met and shown the apartment and then were offered a lift to the local supermarket to get a few supplies in as we didn't have a car. The apartment was very clean and peaceful with a great shower. The gardens are lovely with great views and there was rarely anyone using the pool. We had a view of the sea from our balcony too. It was a short walk to local tavernas and the beach. La posizione panoramica e molto silenziosa, lontana dal traffico della strada principale. La pulizia perfetta, maniacale, ci sono stati cambiati lenzuola ed asciugamani quasi ogni giorno. L angolo cucina era perfettamente attrezzato con ogni tipo di utensile. Gli spazi comuni come il giardino e la piscina erano curatissimi e ben organizzati con lettini in legno con materasso ed ombrelloni e dalla piscina vista panoramica sul mare. Staff presente ma discreto. Proprietarie molto disponibili, ottima pulizia giornaleria. Ottima posizione centrale tra le spiagge più belle e il porto per le uscite serali. Ottimo arredamento con un mini spazio esterno dove è possibile mangiare e rilassarsi dopo una giornata di mare. Consiglio di affittare il quad o almeno un motorino superiore a 50 cc per non avere difficoltà a salire la salita per arrivare alla villa.. Ottimo qualità/prezzo, la struttura la consiglio vivamente!!! La proprietaria gentilissima, la cucina ben attrezzata, bello il panorama e lo spazio attorno alla piscina, la camera era un miniappartamento molto carino con una bella vista. Poolen passade alla, eftersom det var olika djup i poolen. Vi fick nya handukar, nybäddat och städning varje dag. Апартаменты расположены на склоне холма. Вокруг оливковые деревья. Зелено и красиво. До пляжа 10-15 минут неспешным шагом. Пляж песочный, заход в море идеальный. Это южная сторона острова , а ветер чаще северный, поэтому волн нет. В округе множество таверн и ресторанчиков. Рядом магазины с небольшим ассортиментом в основном бакалея, алкоголь, молочные продукты (купить рыбу, мясо нельзя). Выбор фруктов небольшой. Но стоит проехать до города Скиатос где есть и супермаркеты, и мясные лавки, и рыбные, и большое разнообразие овощей, фруктов. Апартаменты двухуровневые. С хорошим ремонтом. Кухня оборудована плитой и микроволовкой. Посуды достаточно. Бассейн небольшой и чистый (но когда столько шикарных пляжей, нужен ли он? А это, безусловно, влияет на цену номера). Територия небольшая и зеленая. Место для парковки автомобиля. Lock in a great price for Xanthippi – rated 8.9 by recent guests! Located on the top of a green hill with views over the bay of Platanias 1,650 feet from Agia Paraskevi Beach, Xanthippi features an outdoor pool in well-kept gardens. It offers self-catered accommodations with furnished balcony. A kitchenette with cooking facilities and fridge is included in all accommodations types. Each air-conditioned unit has a TV and a private bathroom with shower. 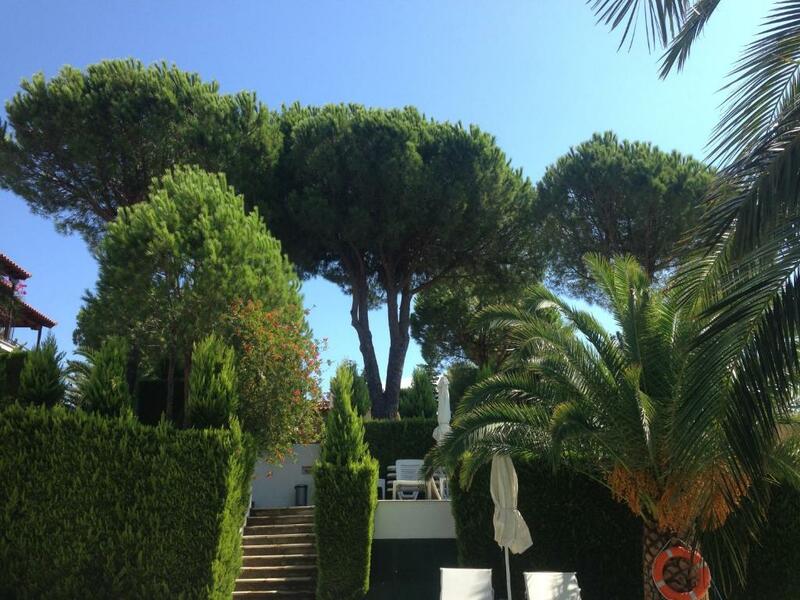 Free umbrellas and sun loungers are offered around the pool, and guests benefit from free WiFi access throughout. Water sports and rental boats are available on the beach. 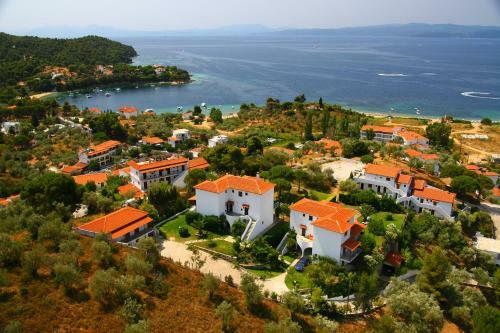 Villa Xanthippi is just off the main road of Agia Paraskevi, 5 mi from Skiathos Town. Free on-site parking is also provided. 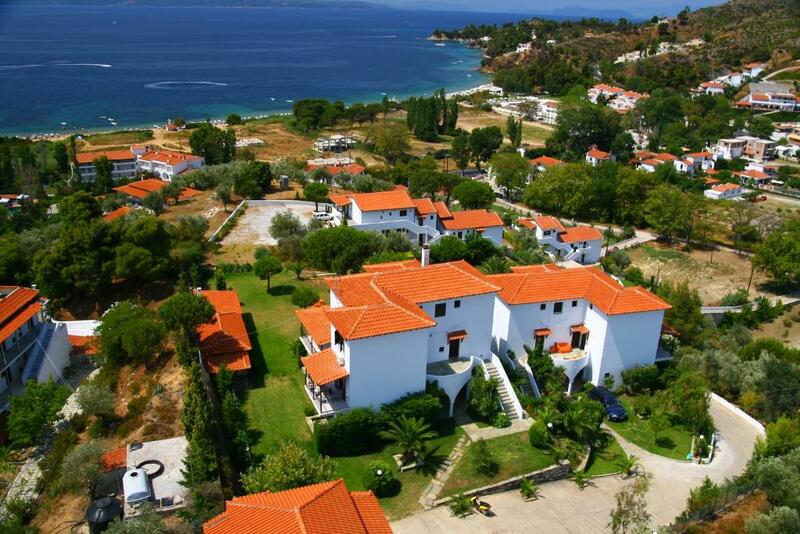 뀐 Located in the top-rated area in Agia Paraskevi, this property has an excellent location score of 8.0! When would you like to stay at Xanthippi? This apartment features a electric kettle, tile/marble floor and stovetop. It is located at the rear side of the main building with mountain view. 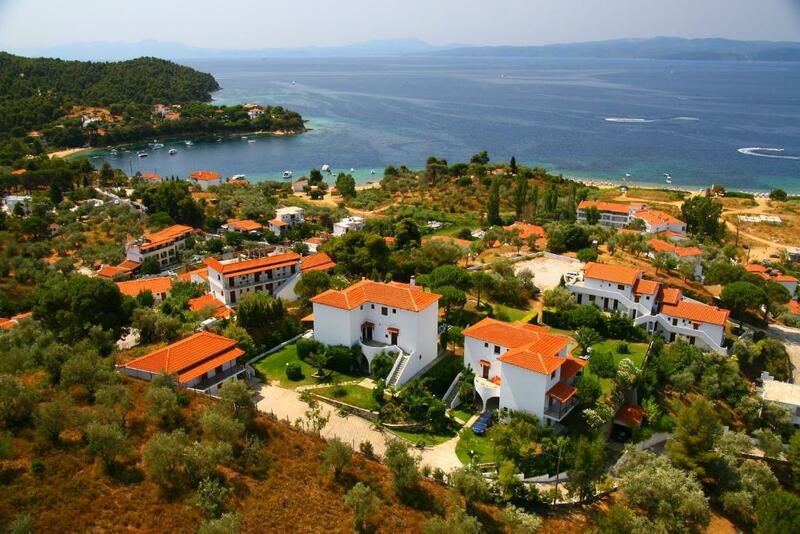 Peaceful location,half way between Skiathos town and Koukounaries beach. House Rules Xanthippi takes special requests – add in the next step! Xanthippi accepts these cards and reserves the right to temporarily hold an amount prior to arrival. Kindly note that the property is located at the top of a hill, therefore it may not be suitable for guests with mobility issues. Please inform Xanthippi in advance of your expected arrival time. You can use the Special Requests box when booking, or contact the property directly with the contact details provided in your confirmation. Please inform Xanthippi of your expected arrival time in advance. You can use the Special Requests box when booking, or contact the property directly using the contact details in your confirmation. Internet could be a bit better. The only downside about the apartment is that it is at the top of a very steep hill which we were able to cope with being reasonably fit. Anyone with Walking Difficulties would need a car. This does however mean you get the lovely views!